Aerodynamics; trying to understand the complex dynamic behavior of air. Around the Earth is a thin layer of air, the atmosphere, which is a mixture of gasses pressurized by the Earth's gravitational field. 1 volume of gas is actually a staggering amount of molecules, atoms, that bounce around and vibrate with incredible high frequencies. Clean air is very important for the quality of life on Earth. Clean air is not the subject of this page, but finding less polluting ways to fly through the air is. As you travel through a space with pressurized gas, gas has to move out of you way, and into the void that your traveling volume leaves behind. Air has mass, and to accelerate all that air mass out of your way, is one reason why we burn so much fuel while flying. The less resistance you can cause the air give, the more energy efficient you can travel. Flying through the vacuum space is ideal, from an air resistance point of view. Without air though: wings can not lift, and none of the airbreathing propulsion systems could generate a thrust to push you forwards. Wings and propellers, aim for this: to reduce the air pressure on top of the airfoil, so that the pressure of the atmosphere can lift the wing up, and push the propeller forward. As a result of difference in air pressure, an aircraft accelerates in one direction, while the air accelerates in the opposite direction. The atmospheric pressure is high: about 1.033 kg/cm2 (normal air at sea level), and is created by the earth's gravity. On a surface of 1 x 1 meter is pressing a force of 10330 kg! On both sides!! Now if you can reduce the air pressure on top to for example: half, you will have 5165 kg of atmospheric thrust! Or take 8 m2, and reduce the pressure only 10%, this will give 8264 kg of thrust! When if you stand somewhere and then move to somewhere else, two things happened. You leave a "void" (an emptiness) at your first position, and also did you push away all the air away from the second position. The ambient air, being a fluid under high pressure, moves away from where you are going and into the void you leave behind, at high speed. Every solid object does this to the ambient air when moving through it. This solid cube does so to. When it moves from position A to position B, air is pushed away from position B and air rushes into the void of position A. When moving the cube really fast; the air from position B explodes away, and the ambient air implodes into position A. This cube is only two steps away from a wing's airfoil, it does two things wrong: 1) It creates high pressure in front and low pressure behind, while a wing's goal is; higher pressure under and lower pressure on top. It's not a good option to move the wing downwards because you want the wing to move forward. Better is to move forward and leave a void behind on top of the wing. That's how a wing's airfoil is shaped. 2) The other thing that's going wrong here, are the sharp corners. Air does "not like" to make sharp turns, it would have to accelerate a lot for that. The air will resist and become turbulant. A wing's airfoil should have a shape that makes the air flow gently to were you want it to go. The speed of "communication" between air atoms/molecules is very high: about 340 m/s (normal conditions at sea level). This is equal to the speed of sound. When a pressure difference is created, the air "knows" where to accelerate to in very little time. The weight of air is not very much: about 1,225 kg/m3, but the pressure is very high: about 1,033 kg/cm2, thus it is not hard to make air move away from a solid object in (relative) motion, and a void is filled very fast. But the faster the speed between a solid object and the ambient air is, the harder it becomes to fill the void, and the lower the air pressure becomes there. When the relative speed becomes supersonic (faster than sound), the ambient air can't fill the void immediately, so a hole in the air appeares, for a little while, until it is imploded. The opposite situation is in front of a wing, where the air pressure will rise more and more because it can't escape fast enough, up to the point where it can no longer flow, where its behavior becomes like a solid, solid gas. - As ambient air flows into a void, this void disappears. To maintain an area of less pressure, a void has to be created continuesly. A waste of energy really. If in a huge wall a duckted-fan is mounted, it is removing air from one side of the wall and adding it to the other side. A huge amount of air on both sides is set in motion by this action. Not just the moved air, also all the surrounding air; tons of air. If your goal is to move air in an energy efficient way, you better respect what air wants. If you don't treat air gently; it will resist. Air does not want to accelerate; it wants to maintain its motion constant (for it is mass). - Air does not want to make sharp turns. - Air will become turbulent as it gets in contact with mass that has a different speed. - Air does not want to flow from a lower to a higher pressure area. - Air likes to vibrate. Every air volume has its own resonance frequency. - Air likes to flow from a higher to a lower pressure area. - Air likes the way of least resistance. In case you want resistance from air, you know what to do. Air is like a pressurised soup of vibrating balloons. One cubic meter of air has little weight, but is of high pressure. Standard air weighs only 1,225 kg/m3, but the pressure is high: 1,033 kg/cm2. On just 1 m2 there is 10330 kg of pressure! To get that many kg from the weight of mass one would need 8433 m3 of air! It's clear that the goal is to reduce the high pressure on top of an aircraft, and not to repel on the little mass of air. Reducing the pressure on top of an 8 m2 surface to just 3/4 will give 20660 kg atmospheric lift. The pressure on top of a wing can be reduced by simply; removing the air and it's pressure. The hard part is preventing the ambient air to fill the void. So far, we don't know how. So we waste a lot of energy in continuously creating new voids. - Air has mass. Standard air weights about 1,225 kg/m3 at sea level. - Air pressure is created by the earth's gravity. Gravity is pulling the air towards the earth. Many kilometers of air are stacked on the earth, resulting in compressed air. 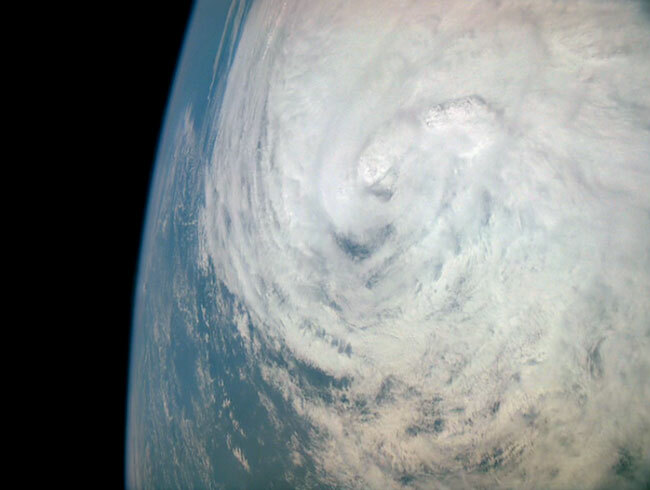 The highest pressure is near the earth's surface and the lowest pressures is near space. - Air pressure is about 1,033 kg/cm2 at sea level. - Air wants to accelerate from a higher to a lower pressure area. - Air pressure drops WHILE it is accelerating towards a lower pressure area. - Air pressure rises WHILE it is accelerating towards/from a higher pressure area. - Because speed is relative; speed has no influence upon pressure. Low pressure, isn't the opposite of high pressure. When on top of a wing there is lower pressure; this does not mean the air is pulling the wing up. The right interpretation is: there is more pressure under the wing than there is on top, thus the force is up. - While air is being compressed; it gets warmer. - While air is being decompressed; it gets colder. - While air is heated; the pressure rises. (same volume and mass, but more vibrations). - While air is cooled; the pressure drops. (same volume and mass, but less vibrations). (same pressure and volume, but less mass). (same pressure and volume, but more mass). - Air can be electrical charged, positively (+) or negativily (-). An "ion" is a charged atom or molecule. - A neutral atom has a same number of protons and electrons. - A negatively charged atom has less protons than electrons = an anion. - A positively charged atom has more protons than electrons = an ion. - An +ion repels an +ion. - An -anion repels an -anion. - An +ion attracts an -anion. - An -anion attracts an +ion. - Air is, up to a certain point, an "isolator"; it does not conduct electricity. - The speed of sound in standard air is about 340 m/s. - The speed of sound increases when air density increases. - Air volumes can vibrate (with the speed of sound), and have a resonance frequency. - When spinning air is moving towards the center, the rpm increases (rounds per minute). When two atoms get close enough to influence each other, they will. They're not longer at rest; they have a conflict (that sounds negative...). One of the things that can possibly happen is acceleration of both. Note: Speed is relative, not a property of mass. An aircraft doesn't have speed, and there's no such thing as "fast air". Speed is about how the distance between two is changing. There is acceleration, but no de-acceleration. Unless space is a fixed medium. An atom can accelerate or not, but not de-accelerate. That again is a word that can only be used relative, like: the aircraft is de-accelerating, relative to the ground. Anyhow. 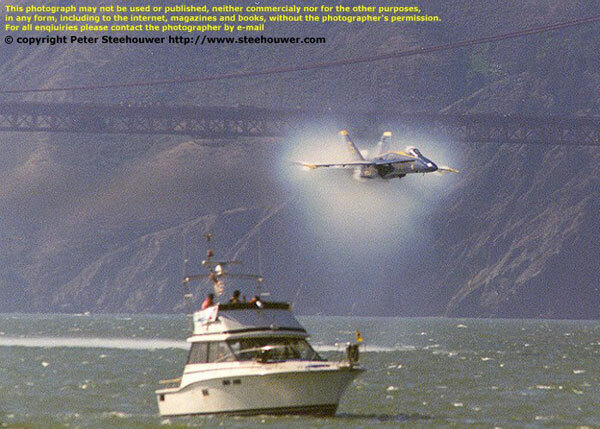 The conflict between the air and an aircraft will effect both. Forces acting on both. What things do we recognize and gave names to? I'm not going to look into all that. I's so complicated. It would be practical to discover how exactly air behaves, and put it in the computer, so we can do virtual experiments that would otherwise cost many years and great piles of money. If an air volume has a very high pressure relative to the ambient air, it will explode. If an air volume has a very low pressure relative to the ambient air, it will implode. In both cases there is a great pressure difference and the explosion/implosion motion goes from the relative high pressure area towards the relative low pressure area. The difference is that in case of an explosion the energy spreads away in all directions, while in case of an implosion, the energy is directed towards the center of implosion. I case of explosion; the energy is spread to practically lost. In case of implosion; the energy is concentrated in the center of implosion, for as short as that lasts. Exploding air tents to become turbulent as it gets in contact with the ambient air. Imploding air can preserve the energy by becoming a vortex of some kind, getting a spiral motion, circling around a center of very low pressure. The ambient air accelerates towards the center of implosion, with great speed. This speed is not lost and can transform into circular motion around a low pressure area. See more down this page. The "Spinning Air" part. The speed of sound in air varies with air-temperature, air-pressure, and air composition (like humidity). Mach 1 at sea level is about 340 meters per second. Mach 1 at 45,000 feet is about 295 meters per second. Mach numbers are named after Ernst Mach (1838-1916), an Austrian philosopher and physicist. The term Mach number came into use in 1929. The transonic band extends from around Mach 0.8 when the first supersonic shock waves form in front of the aircraft to Mach 1.2, when the entire aircraft has gone supersonic. Spinning air is a logical process but hard to understand because it is very complex, as are most things in life. I'll try to make it more understandable for you and myself! Air does not want to spin; atoms will maintain a constant coarse, without acceleration, unless they are forced in some direction. To spin, there has to be a force acting upon it continuously, forcing the air towards the center of spin: centripetal force. The centripetal force can come from a pressure difference: the center of a vortex can be of much lower pressure than the ambient air. How can the low pressure in the center remain low? The 2D example is like the illustration above here. The ambient air is pushing the spinning air towards the center, but the air has a lot of motion and wants to fly away from the center, so there's kind of a balance between these two forces. - Make a very long tunnel: like from on top of a disc, all the way to space. - Make an endless long tunnel: a donut shaped tunnel. A vortex ring. 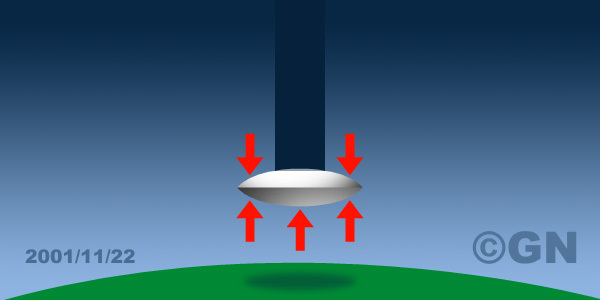 A vortex tunnel between a flying disc and space. - While air accelerates from higher to lower pressure, the pressure drops. - When the pressure drops, the temperature drops. - Light atoms/molecules move towards the center. - Heavy atoms/molecules move away from the center. - Molecules direct their heaviest atoms away from the center, thus start to spin. - At extreme high rpm, molecules may split because of the difference in weight of its atoms, resulting in highly charged atoms. - The splited molecule's highly charged atoms attract and repel, and can form new molecules -not necessarily the same as they were. - The spin of the atoms may aligne with the spin of the vortex. - The alignment of the atom's spin will probably have magnetic effects. - The structure of the atoms may get bent. - Could the bending of atoms have an effect on gravity? - As the air moves towards the center, the rpm rises. - The faster spinning air towards the center is in conflict with the slower spinning air away from the center. - The difference in rpm causes: friction, heat, turbulence, sound/vibrations. - Because of the friction, the inner air drives the outer air. - The inner air loses velocity & rpm to the outer air. the centripetal force is proportional to the square of the velocity, implying that a doubling of speed will require four times the centripetal force to keep the motion in a circle.